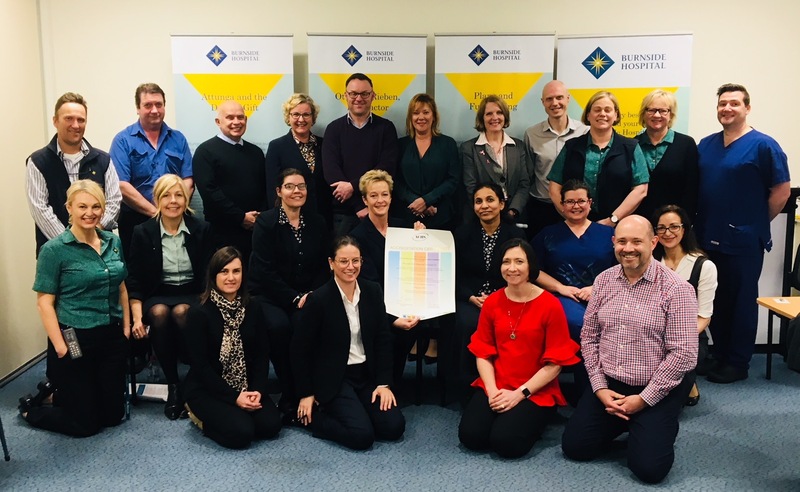 Burnside Hospital has been awarded another four years accreditation certification following a survey by Australian Council on Healthcare Standards (ACHS), a leading independent authority on health care. The hospital has held continuous ACHS accreditation since 1985 and the most recent survey shows all 15 standards have again been met and that four of the governance standards were ‘met with merit’. The ACHS is an independent organisation, dedicated to improving the quality of healthcare in Australia through continual review of performance, assessment and accreditation, with a specific focus on safety, quality and performance since 1974. Burnside Hospital has been surveyed by the organisation every four years since 1985. Three visiting accreditors from the ACHS surveyed the community not for profit hospital over three days in June 2018, evaluating performance, procedures and activity against the 15 EquipNational Safety and Quality Health Service Standards. She went on to say that, in 10 years of surveying she has never commenced a summation conference in that manner. All surveyors agreed that they would be extremely happy to be a patient at Burnside Hospital. EQuIPNational is a four-year accreditation program for health services that will ensure a continuing focus on quality across the whole organisation, for organisations required to be accredited to the NSQHS Standards.It has been developed in response to the Australian Commission on Safety and Quality in Health Care's (ACSQHC's) National Safety and Quality Health Service (NSQHS) Standards ('National Standards') which are mandatory for health services from 1 January 2013. EQuIPNational ensures organisations meet the necessary requirements to meet the NSQHS Standards, and offers a further five standards that focus on the performance of non-clinical systems as part of a comprehensive organisation-wide assessment - the essential areas of service delivery, provision of care, workforce management, information management and corporate governance and safety.